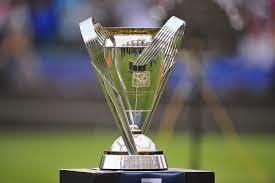 Each summer, United States Youth Soccer teams compete in the National Championship Series in their quest to be crowned National Champions. Along the way, there are four Regional Championships across the country, with each event featuring the best teams those states have to offer. 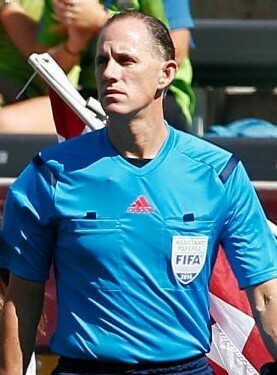 While there are many success stories of prominent players that have competed in these events, the same can be said about the referees involved. Each referee is selected by their state association, which provides the top teams with top referees from their region. As a referee, being invited to “Regionals” is one of the first rites of passage in their career. 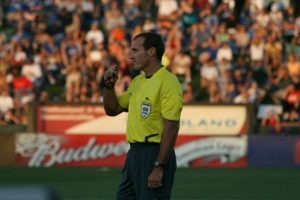 In 2001, the Director of Referees for Region III, Bob Wertz, began discussing a more effective way of helping referees during the event with Ryan Cigich & David Lakin, two of the Region III State Referee Administrators. 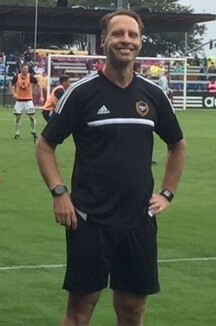 Their efforts helped create a Mentor Program in 2002 that would give some of the referees a small group setting in which to discuss their games. 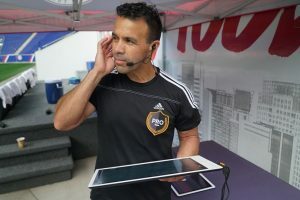 The idea was based on the principle that while an Assessor will grade a referee on a given day, a Mentor would coach the referee over the course of multiple days. One of the things that has remained constant is each state selects a few referees that they feel will benefit from this intensive program. In turn, those referees are expected to bring their new knowledge & experiences back to their home states in order to serve the local referee community. Danny Thornberry meets with his Mentees to discuss their goals and determine how he can help them throughout the week. This past summer marked the 15th year of the Region III Mentor Program. PSRA members Paul Scott & Adam Garner have managed the Mentor Program in recent years. This past summer, member Chris Penso took the lead role for a 2nd time. 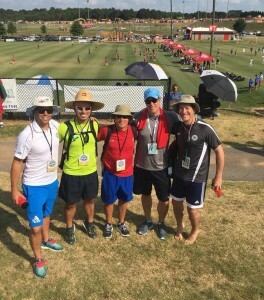 As with past years, this year’s event featured many PSRA referees as Mentors for the week-long event. Participating as Mentors this year were Kadlecik, Danny Thornberry, Jonathan Weiner, Grant, Rubiel Vazquez, Blanchard, and Nima Saghafi. Most notably of those, Weiner, Grant, Vazquez, and Saghafi had all recently participated in the Mentor Program in reverse roles – as Mentees. This cycle is beneficial for everyone, as many who become professional referees look to give back to the next group of referees. 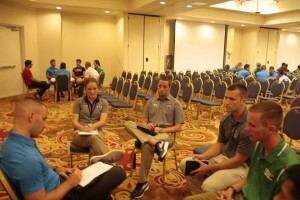 Referees have historically found it difficult to succeed without the proper network of mentors that can give you the guidance to help you grow and advance as a referee. 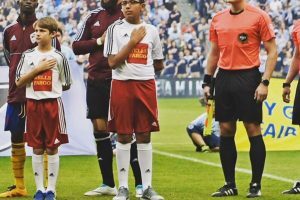 The PSRA and its members are proud to be associated with the Region III Mentor Program and similar events across the country that help provide a sustainable structure for the next generation of referees.